The Schuylkill Canal Association is proud to present the 29th Annual Canal Day, Sunday, June 26, 9 AM to 4 PM in Mont Clare, PA! Canal Day is a great “Kid’s Day” that allows adults to have a fun day too. Thanks to the Sponsors; Exelon Power, Phoenixville Federal Bank & Trust and many local businesses, parents can help their kids make crafts, watch them play games and get their face painted while they listen to live music. Kids can join in on the Fishing Derby and see what they can catch in the canal from 9:00 AM to 12:00 PM, kids 12 & under should bring along their own equipment and there will be a limited amount of fishing rods available for those without. French Creek Outfitters will provide prizes for the top three anglers and bait & tackle for all. Rides such as The Trampoline and Orbitron bounce, spin and orbit kids to new levels of fun! Parents and kids can take a paddle boat ride on the canal for some relaxed fun. 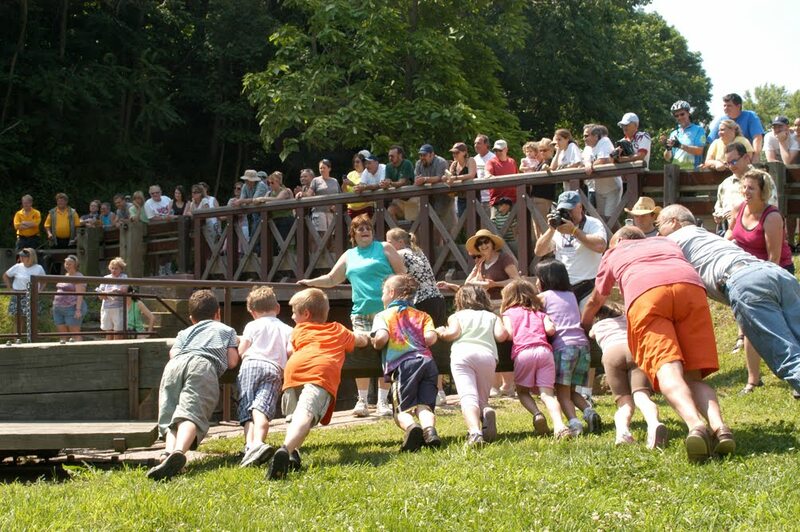 If the weather is cool, Great Valley Nature Center will attend Canal Day with one of their birds of prey for exhibition. If the weather is hot, Mont Clare Fire Department will finish the day with a cooling water spray from a fire truck. This year’s Canal Day will be electrified with a bigger band lineup. The sonic sounds of Holt 45, Funk Church, Christine and Company and the Dave Dougherty Band will be playing from 11:00 AM to 4:00 PM These are some of the best bands in the area; - don’t be surprised if you find yourself tapping your feet! Champions will be crowned in the 2011 Canal Day Games of trail running, kayaking, canoeing, horseshoes and the canal joust. The trail run course runs along the Schuylkill River, Canal, and through the wooded ravines as well as a few streams along the way. Registration starts at 8:00 AM at St. Michael’s Park with the race start at 9:00 AM along Lock 60. The Kayak and Canoe Race will do the “loop” down the Schuylkill River and then up the canal to return to Lock 60. The race will start at 11:00 AM at the Lock 60 boat launch. The Horseshoe Tournament, starting at 10:00 AM this year, will be conducted on legendary horseshoe pits in Saint Michael’s Park. 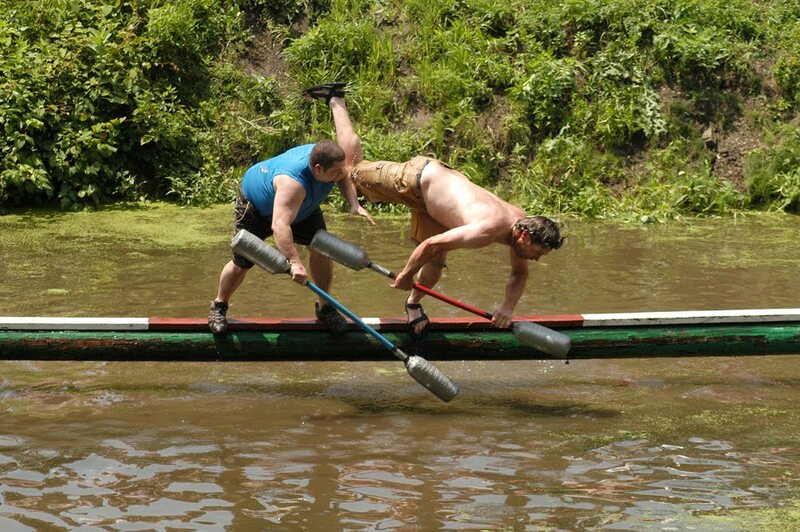 The last championship of the day will be the men’s and women’s Canal Joust. All events have scenic backdrops and are spectator friendly. Free parking for Canal Day is at Saint Michael’s Park at the end of Jacob Street in Mont Clare, PA.
At Lock 60 watch and listen to colorful canal era stories and songs; “Old Canal Days Songs and Stories” will be performed by Matthew Dodd, a master story teller and historian from 11:00 AM until 3:00 PM. See and learn how a canal lock works as the Locktender and his crew operate Lock 60 throughout the day. There will also be a business expo, crafters, a flea market, and tours of the Locktender’s House all day. Thanks to the Phoenix Village Art Center; the two-day Canal Day Art Show featuring artists from across the region, will be returning on Saturday, 6/25 and Sunday, 6/26 from 11:00 AM to 4:00 PM. The show will be displayed in a gallery setting including the second floor of the Locktender’s House both days. Food will be available from 9:00 AM, starting with the makings of a continental breakfast at the SCA Main Tent. Starting at 11:00 AM a variety of food vendors will be selling various sandwiches and entrees for lunch at Lock 60 and St. Michael’s Park and water ice, funnel cake and other treats will be available for dessert. The Schuylkill Canal Association is inviting you to show your support of the Association’s continued stewardship and preservation of Lock 60, the Canal and the 3-mile linear greenway known as the Schuylkill Canal Park. The event is SCA’s annual community-wide fundraiser; a minimal donation of $5 per person will gladly be accepted at the entrance to the Lock 60 area, children aged 12 and under are free. For more information, contact the SCA at www.schuylkillcanal.org, info@schuylkillcanal.com, or (610) 917-0021.